Remember all those crazy stories you believed when you were a kid? How would your life change if you found out they were true? 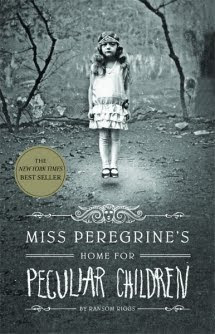 Young Jacob finds out that and more in Miss Peregrine’s Home for Peculiar Children, Ransom Riggs’ debut novel with Quirk Books. After an early peek into his innocent childhood and his granddad’s stories, we next see Jacob when he’s an unlikable, privileged teen. His rebellion against his life and his parents soon takes a backseat to the murder of his grandfather; the wild stories his grandfather told him when Jacob was little, plus the old man’s cryptic last request, haunt the teen's mind as apparent reality and fantasy fight for control. Riggs knows the troubled teen psyche well, because Jacob’s feelings and thoughts in therapy are spot on, and the “real” world the author builds is so convincing, you’re ready to believe the fantastic when it comes along. What would normally be a solid paranormal coming-of-age story gets a mighty goose from the book’s gimmick: several real (albeit re-touched or bizarrely posed) photographs from historic collections depicting the characters and situations Jacob encounters. The old pictures have the fantastic element of a 19th century circus: creepy, unsettling and you can’t look away. A floating girl, twins painted like clowns and connected via a ribbon, a man covered in bees: they connect you visually to the story and add an extra layer of weirdness so you feel just as fascinated and befuddled as Jacob does during his long journey to learn the truth and discover his purpose in life. I enjoyed this book a lot, and it got the Pratchett treatment from me, i.e., I stayed up until 2 a.m. reading it. I simply could not put it down until I reached the end. It’s a great story that touches on the desire to be special in all of us, something we get to live out through Jacob. I highly recommend it for folks who enjoy a nicely paced, spooky Twilight Zone-style tale. I’m sure this will be the first of many adventures with these characters, so I’ll start catching some catnaps now, if I can just stop imagining those little clown kids. Shudder. I've been a member of several writing groups through the years, but there's only one I would take up arms for: the Ermas. Okay, Nerf arms. I really hate confrontation. Thanks to the brainstorm of our fearless leader, Stacey Graham, we're whipping up something special for 2012. The official word is because of the Presidential election. I'm thinking it's a back-up plan for survival in case the Mayans were right about 2012. 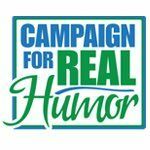 "An Army of Ermas is gearing up for the upcoming United States presidential election and looking at the crop of candidates we have to choose from so far, we're going to need as much humor as we can get. Thus, the Campaign for Real Humor has begun. In the next year, your favorite Ermas will be competing for your votes with their posts. It's up to you to vote by liking a post on facebook, linking on websites, leaving comments on their posts, RTing on Twitter and Stumbling your favorites. Who will emerge the victor? Your vote counts! We'll be kissing babies, and stumping for votes at the upcoming Erma Bombeck Writing Workshop in April, 2012. Come out and say howdy! Most of us don't bite." I think all the Ermas are hilarious, talented people and I'll be occasionally posting them throughout the year so you, my dear, lone reader, can easily find the best humor writing on the web!